What an awesome work day yesterday. Thanks so much to Kathy Garringer and helper Carolyn Gaskill for organizing a great day. 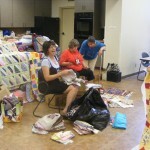 Almost 30 people were there to help work on quilts of all sizes for babies and kids of all ages. Check out the details on our Communitypage. Is everybody staying cool??!! Get out of the heat and come enjoy this month’s program at Q.U.I.L.T. Make sure that you set your calendar for this Thursday, July 28th at 7:00, at the Springdale Holiday Inn. It’s sure to be a great program. Also, if you have some time on Friday, contact Therese Ramsey to sign up for this month’s workshop on “Grandma Addie’s Star”. If you need details, see the workshop page. It is certainly a busy week… because on Saturday, July 30th we will be having our Baby Quilt Workshop from 9:00-6:00 at Ozarks Electric in Fayetteville. Hope you all can come! Maybe we can set a record for the number of baby quilts finished in one day! The Northwest Arkansas Women’s Shelter is having an Art Auction later this fall, in November. As members of the Q.U.I.L.T. guild, you have been invited to participate, by donating up to three items for auction. Melanie Palmer of NWAWS will be at our August meeting to talk further about the use of the proceeds. If you are interested in participating by donating a full-size quilt, wall hanging or art quilt, check out the criteria for donation and donation registration form. 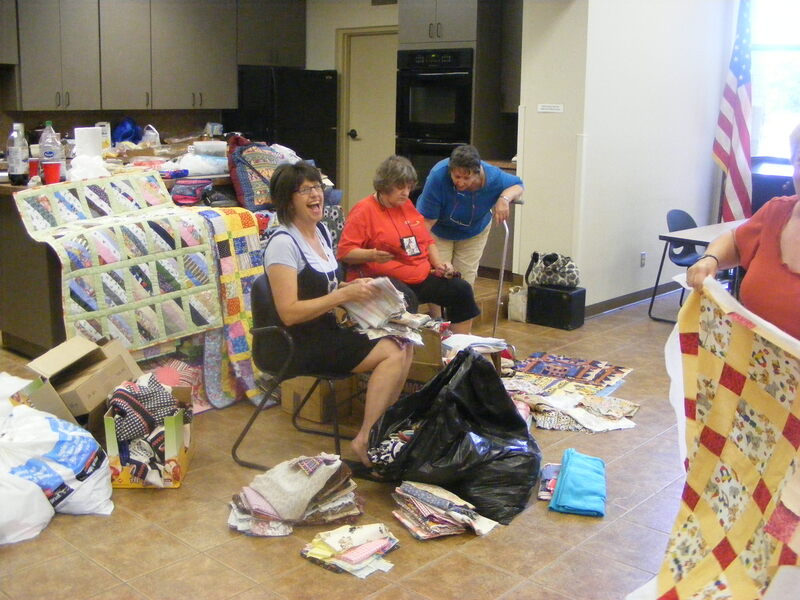 There will be a Quilts of Valor auction on July 15th at 7:00pm in Rogers at The Rabbit’s Lair. Please click here to see a flyer with all of the details. Because of the Independence Day Holiday on Monday, July 4th, this month’s Board Meeting will be Tuesday, July 5th. We will meet beginning at 5:30pm at the Denny’s restaurant at the intersection of I-540 and 412 in Springdale. We will be in the reserved room. Any members are welcome!